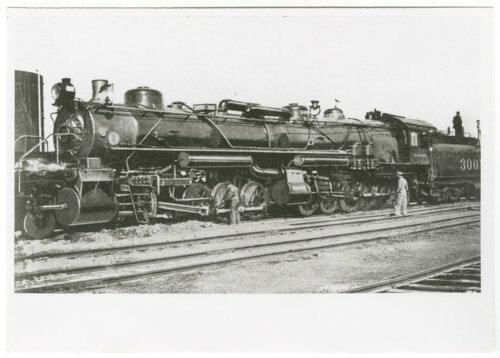 These two photographs show the Atchison, Topeka and Santa Fe Railway Company's steam locomotive #3000. This "Mallet" type locomotive, built in the ATSF shops in Topeka, Kansas, was equipped with a Jacobs-Shupert non-explosive fire box. It was also the largest locomotive in the world at 121 feet and six inches long.